The Viera Park and Ride Lot is a great location to meet your fellow coworkers in order to share your commute to work and is especially beneficial to those who commute to regional employment areas such as Orlando or Kennedy Space Center. The facility is close to I-95 and Space Coast Stadium and is owned/maintained by the Viera Transportation Management Association (TMA). TMA owns and operates the Viera Park and Ride lot located at 5545 Porada Drive in Viera. 321 Transit currently has 19 bus routes all over Brevard County. Routes 1 and 7 are the routes that serve the Viera area. All transit buses are wheelchair lift equipped and accommodate bikes at no additional charge. Surfboards are allowed inside the bus, based on space availability. Weekend and Saturday service is available on most routes. Visit the 321 Transit website for complete route and fare information. Brevard County has one of the largest vanpool programs in the country. Employers receive tax benefits by leasing state-of-the-art commuter vans for their employees to form a vanpool. Employees can park in any of the Brevard Park & Ride Lots (or other agreed upon location) and then travel to and from work from this central location. This program gets cars off the road and provides cost savings to the employer (tax benefits) and the employees (cuts work travel expense). Paratransit is a curb-to-curb service provided to meet the needs of Brevard County’s transportation disadvantaged citizens. 321 Transit has the 49th largest paratransit program in the country. Transportation disadvantaged individuals are defined as: “Those persons who because of physical or mental disability, income, status, or age, or who for other reasons are unable to transport themselves or to purchase transportation and are, therefore, dependent upon others to obtain access to health care, employment, education, shopping, social activities, or other sustaining activities, or children who are disabled or high risk.” Chapter 411.202, Florida Statutes. In addition to the Viera Park & Ride Lot, there are 3 other lots in Titusville, Eau Gallie and Palm Bay. Visit 321 Transit for more information. EFSC students can ride 321 Transit buses for free, any day, any time and anywhere just by showing their Class Pass sticker on their EFSC ID Card. 321 Transit works with local not-for-profit service agencies to provide contracted demand/response bus services for their clients. Some of these agencies include Brevard Achievement Center, Bridges BTC, Inc., Easter Seals and Seniors at Lunch. When disaster hits, 321 Transit is ready to ensure that all residents within an evacuation zone have a way to get out. Special needs customers can pre-register to get moved to a shelter in emergency situations. Viera is a master-planned community designed to encourage outdoor activities and to provide multi-use pathways for various modes of motorized and non-motorized transportation. 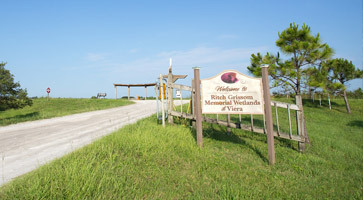 In addition to the health benefits derived from outdoor activities, these paths get automobiles off of the roadway when users choose to utilize different modes of transportation such as a golf cart instead of a car or truck. Through an agreement with Brevard County, CVCA is currently working to add signage and markings to the multi-use pathways to designate which paths are multi-use and to provide for the perpetual maintenance of the signs and marking by CVCA. The marking and signage of the multi-use paths will be completed in phases as the proper permits are approved by Brevard County. In Florida, roundabouts are here to stay. The Florida Department of Transportation (FDOT) is actively promoting the installation of modern roundabouts throughout the state highway system due to their proven safety and operational benefits. Click here to read more about FDOT’s position on roundabouts. And, although the Viera Roundabout tends to elicit a great deal of discussion regarding the merits of roundabouts, it isn’t going anywhere so we all need to embrace the concept and learn how to drive it properly. 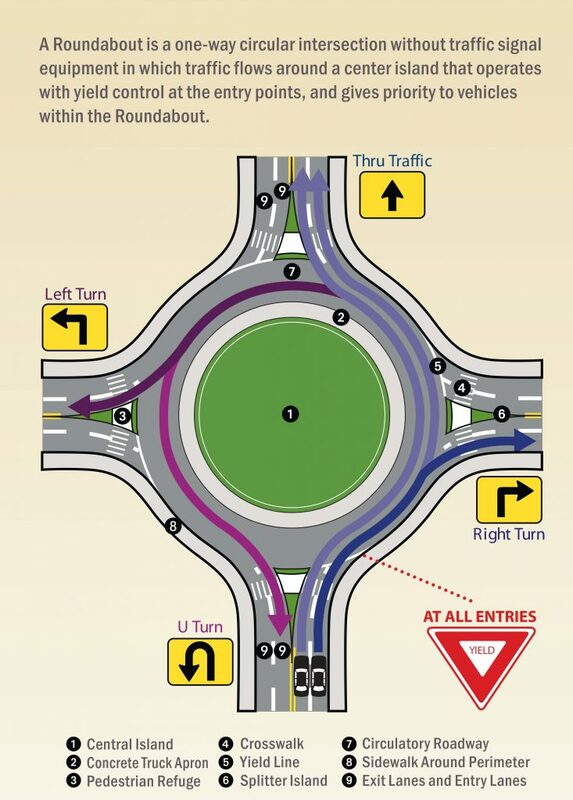 FDOT has published an easy-to-understand brochure on how to safely navigate a two-lane roundabout. Click here to download the full brochure. Please share this brochure with your friends and neighbors!! 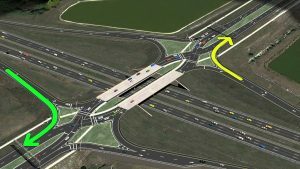 Viera will be the 2nd community in Florida to get a Diverging Diamond Interchange (DDI). The DDI will be constructed by the Florida Department of Transportation (FDOT). Construction will begin in 2017. Navigate to the FDOT project page here: Viera DDI Project Webpage. FDOT has also created an informative video regarding the project that includes CGI demonstration of cars, bikes and pedestrians moving through the interchange. This video is a must-see for anyone living in the area and will provide a much better understanding of how a DDI works. Click the photo below to watch the video.